Roundup As NASA continued to listen for its stricken Mars rover and SpaceX moved closer to a first crewed launch from US soil, rocket fans had plenty to occupy them last week. The UK has the dubious distinction of being the only country to have successfully developed, then dumped, the capability to launch satellites. Between 1969 and 1971, four Black Arrow rockets were fired from the Woomera range in Australia, the last of which managed to fling the Prospero satellite into orbit. 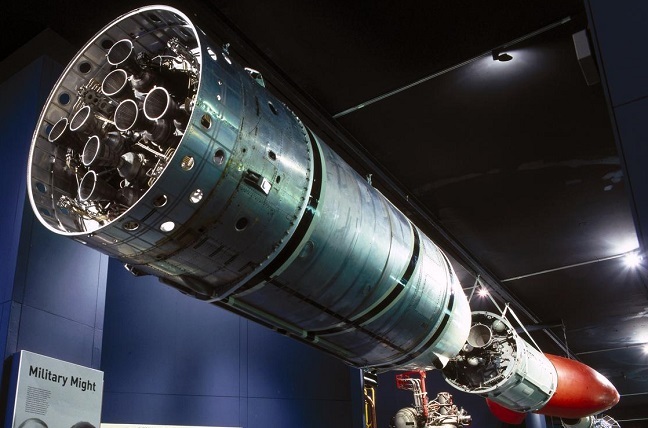 While the fifth Black Arrow never flew and can be seen strung up in London's Science Museum, the surviving parts of the fourth rocket that fell back to Earth during staging have now been recovered from outdoor display at William Creek in Australia and returned to the UK. The return means that UK space fans can now add Penicuik in Scotland to the trail of places that mourn the UK's launch capability. Edinburgh-based rocketeers Skyrora stepped in to move the hulk from its resting place to somewhere nearer the launch outfit's headquarters. As well as rescuing relics, Skyrora also hopes to fire a two-stage suborbital rocket into space this year, having managed to get four miles up with a scaled-down booster, the Skylark Nano, in 2018. While all eyes were on SpaceX's Falcon 9 due to fly the Demo-1 mission, the crew of competitor Boeing was quietly shuffled about ahead of its impending commercial mission to the International Space Station (ISS). NASA astronaut Eric Boe had been assigned to the much-delayed first flight of Boeing's CST-100 Starliner capsule back in 2018. He was to fly alongside fellow NASA 'naut Nicola Mann and ex-NASA, now Boeing astronaut Chris Ferguson.